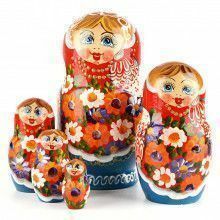 Daisies are favorite flowers in Russia. 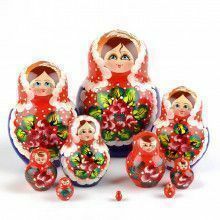 Loves-me-loves-me-not. 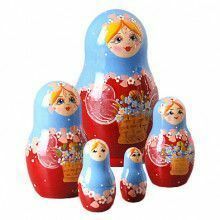 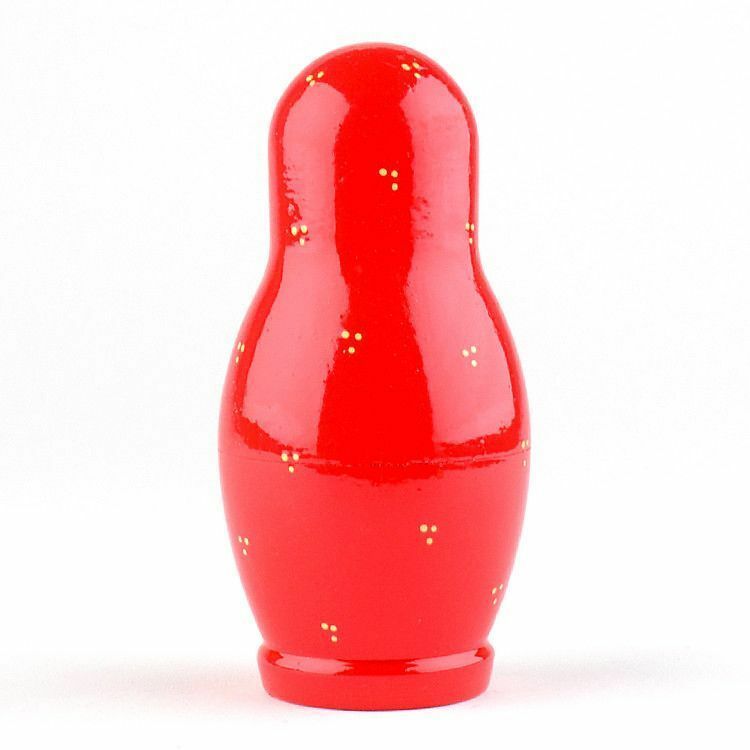 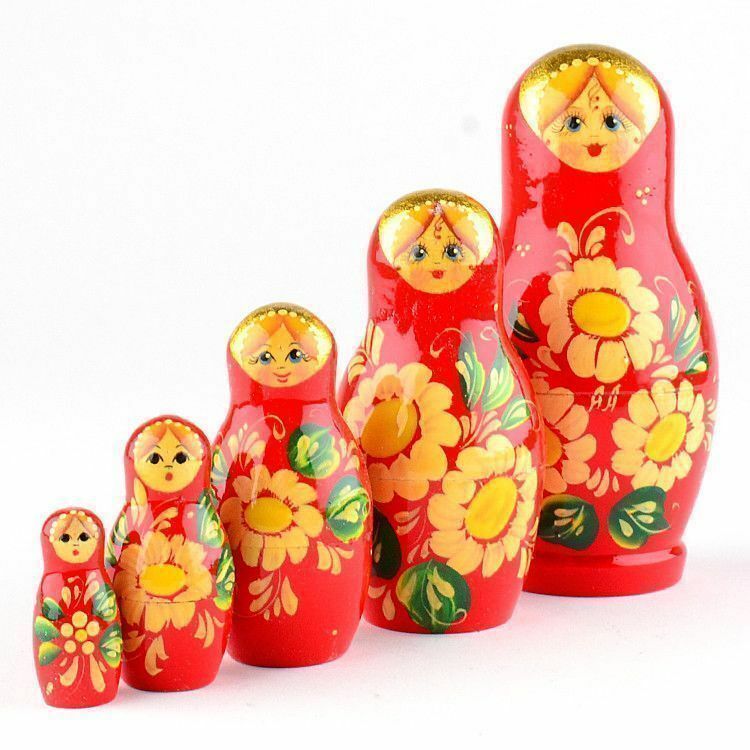 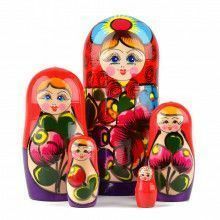 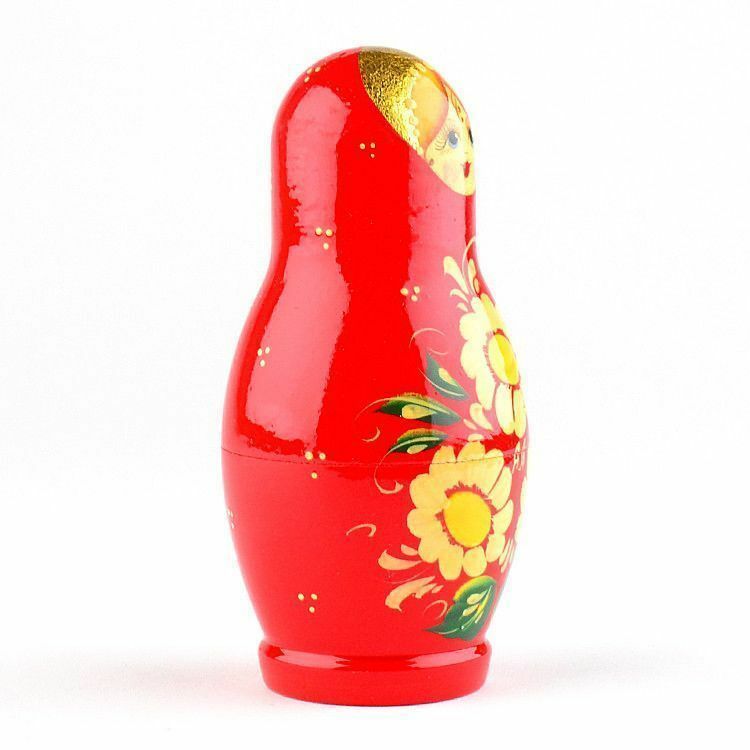 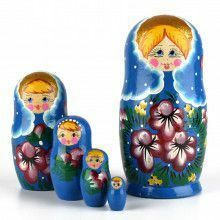 This authentic nesting doll was imported directly from Russia, where it was hand-crafted. 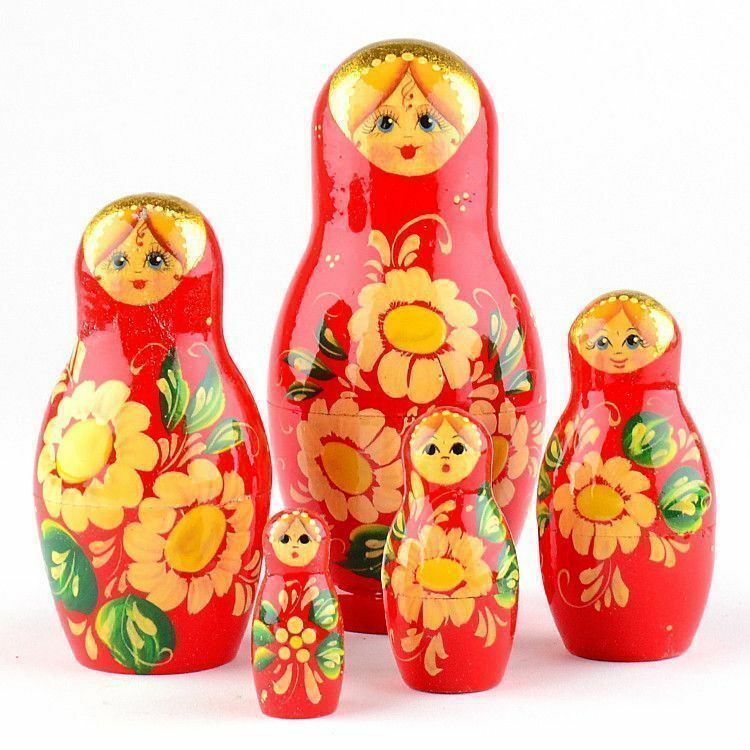 Open it up to reveal a smaller set of dolls, featuring an arrangement of daises. 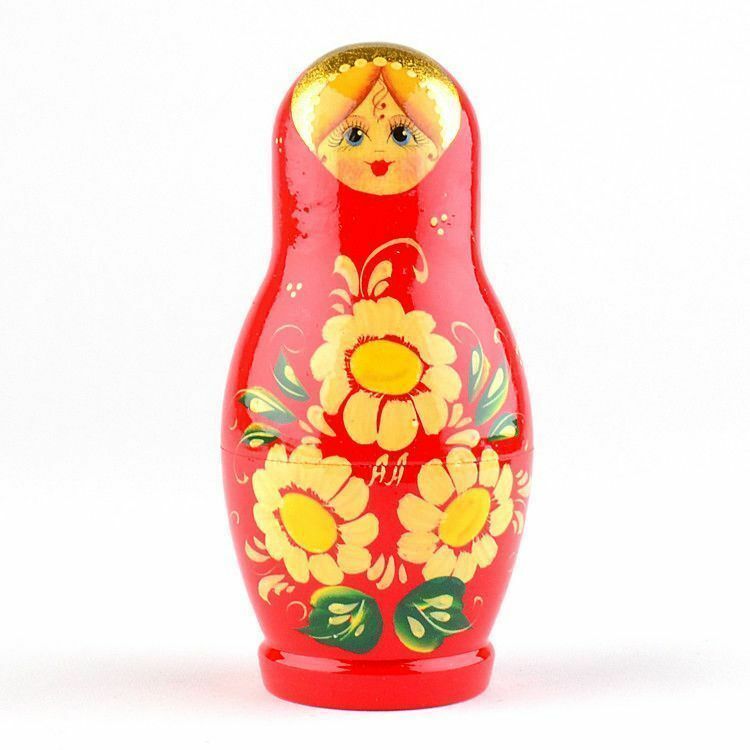 Makes a great gift, and adds a golden touch to any room.